Environment Secretary Michael Gove has kicked off our Year of Green Action – a year-long drive to get more people from all backgrounds involved in projects to improve the natural world. The campaign provides a focal point for organisations, individuals, communities and businesses to learn more about their environmental impact and take action to reduce it. The launch has been covered today by the Telegraph, Express, Daily Mail and Horticulture Week. 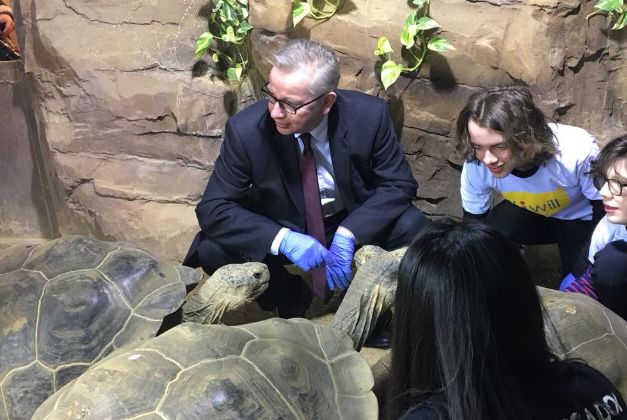 Speaking at ZSL London Zoo yesterday evening, the Environment Secretary also allocated £10 million to help children from disadvantaged backgrounds better access the natural environment – with grants awarded to projects that will create greener school grounds and increase the number of school visits to local parks, wildlife sites, care farms and National Parks. I am delighted to launch the Year of Green Action. Over the next 12 months we will work with businesses and communities to create ways for people from all backgrounds to connect with nature, protect our environment, and contribute to restoring our natural world. As the future stewards of our planet, children and young people have a vital role to play in this. The £10million boost outlined today will help ensure there are no barriers for young people to access the benefits of the natural world and importantly enable them to play their part in environmental protection. 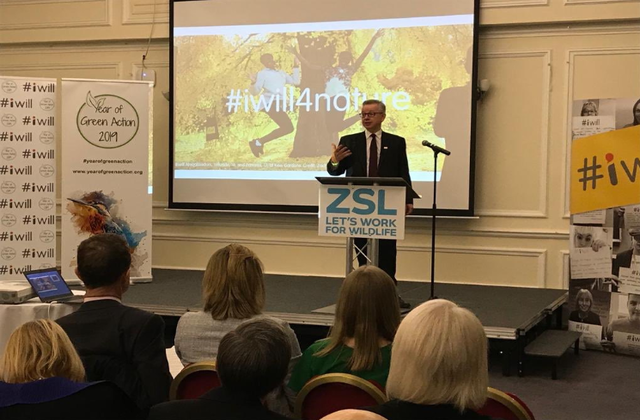 While at ZSL London Zoo, the Environment Secretary also offered his backing to the #iwill4nature initiative, the charity Step Up To Serve’s contribution to the Year of Green Action. This is nationwide campaign to grow environmental youth social action and support a series of activities for young people to connect with, protect and enhance nature. This includes appointing young ambassadors to drive environmental action in their communities and encourage environmental volunteering such as litter picking, planting pollinator-friendly flowers or fundraising to maintain or enhance green spaces.